Christian Orientalist and polyhistor; born at Halle Feb. 27, 1717; died at Göttingen Aug. 22, 1791; grandnephew of Johann Heinrich Michaelis. He was educated at the university of his native city, and made scientific journeys in England and Holland, returning to lecture at Halle on Semitic languages and Bible exegesis. For nearly half a century he was professor at Göttingen University (he became assistant professor in 1746 and professor in 1750), where he lectured chiefly on Old Testament exegesis, Hebrew antiquities, Mosaic law, and the Semitic languages. 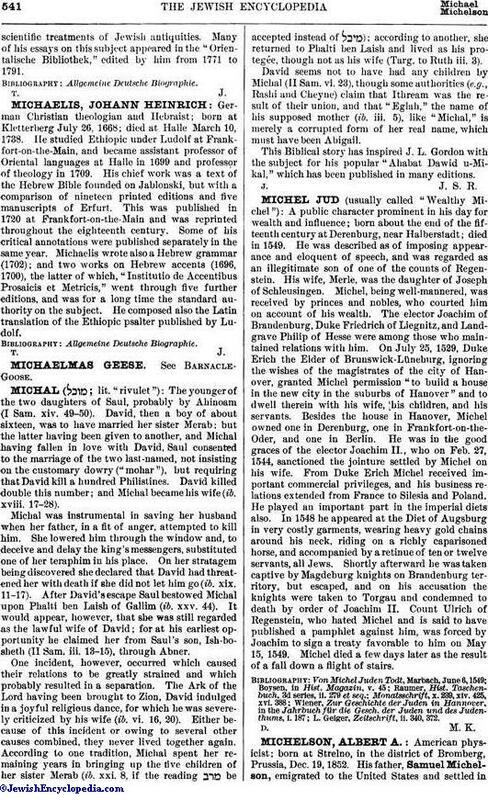 Besides writing a Hebrew grammar (1745) and a supplement to Hebrew lexicons (1784-92), Michaelis translated and commented upon the whole of the Old Testament (1769-83). He was also one of the first to write an introduction to the Old Testament (1787). 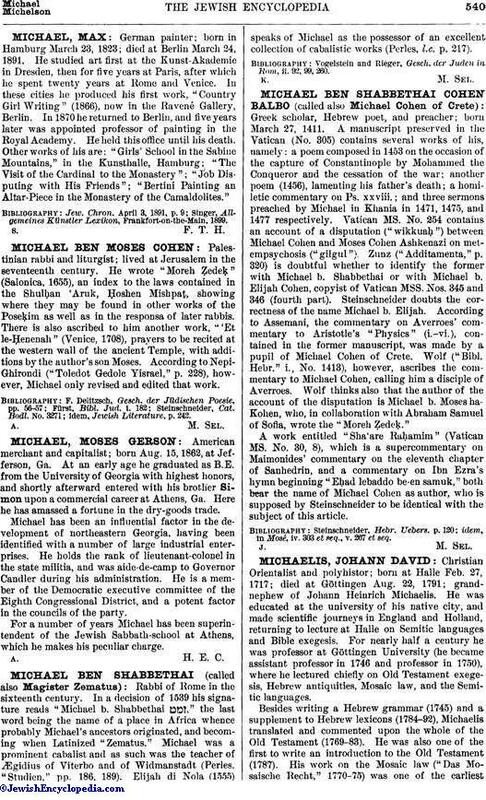 His work on the Mosaic law ("Das Mosaische Recht," 1770-75) was one of the earliestscientific treatments of Jewish antiquities. Many of his essays on this subject appeared in the "Orientalische Bibliothek," edited by him from 1771 to 1791.